The String Beans make music that makes kids move! Clever lyrics, catchy tunes and crazy antics are the hallmarks of their live show. 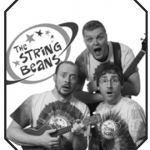 Mixing country, rock n’ roll, pop, polka, and even rap, the ‘Beans’ perform original, family-friendly songs about the things kids love, and the things parents can’t stop laughing about. Wood River Elementary School students will be treated to a quick concert at 2:00 p.m. – come to the evening performance and register for a chance to win a free String Beans CD! Pippa White’s productions are “part theatre, part storytelling, part history.” Audiences call them unique, captivating, and touching! 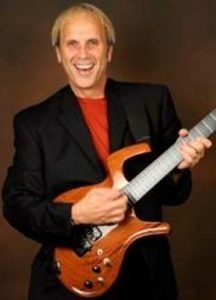 A professional storyteller, White has toured over 30 states. 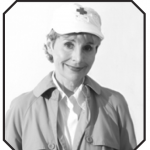 Wood River is thrilled to bring Pippa back for a new performance celebrating female Veterans. The roles women have played in war are many and varied. Hear the experiences from “saints, soldiers and spies”–proof that women in war have never been only on the sidelines…And they have stories to tell. A dynamic performer who transcends stylistic boundaries, Mary Carrick captivates audiences with her shimmering, velvety and powerhouse sounds matched by her charming presence and gift for storytelling through song. With pianist J. Gawf, this compelling chanteuse will take us on a journey through music by some of the most iconic songwriters from the 40s-70s, fusing beloved standards from the American Songbook with classic pop, and country. 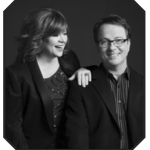 Based in Omaha, the duo tours regionally. This promises to be an afternoon you won’t soon forget! Gayle’s high energy, quick wit and audience participation makes his show a favorite across the country. Growing up in a family of magicians, Gayle Becwar’s fi rst introduction to entertainment came as a child in 1967, performing with his Dad’s traveling magic show. 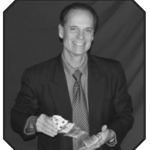 He has performed in front of thousands of audiences all over the world with his unique brand of clean, interactive, fast-paced magic and comedy for all ages. Laughter does wonders for your health so don’t miss this great show! An informal gathering for friends old & new, young & old to explore and reminisce. We’ll gather at Wood River Rural High School in the theater lobby. Come early for coffee & goodies prior to the presentation. FRIENDSHIP GATHERINGS – 9:30 a.m. Author of “Secret Brother: Solon Borglum, Sculptor of the Prairie”, Jean will share the story of this diversely talented man from central Nebraska whose brother became the sculptor of Mount Rushmore. The fascinating art of stained glass windows: how they are produced; the role of immigrants in bringing these works of art to Nebraska; and the interesting meaning and detail in stained glass art found in various settings. This local ag producer shares his love of woodworking and music through the years. Marvin is a man of many talents! Learn about slavery in the U.S. during the 1850’s and how the issue affected people moving to the Nebraska Territory. Hayes explores how the Underground Railroad formed in Nebraska and discusses sites where escaping slaves most likely found refuge on their journey north to freedom. Appreciate the sounds of Christmas as this central Nebraska choir presents their annual cantata event. The Christmas Cantata will be held in the Wood River High School Performing Arts Theater. Get swept away in the majesty of Easter during this central Nebraska choir’s cantata presentation. The Easter Cantata will be held at St. Mary’s Catholic Church in Wood River. A favorite amongst the locals! Enjoy the talented high school thespians and musicians during their annual performance. 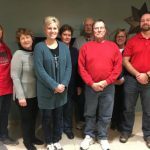 The Celebrate Wood River Committee was formed in January 2006 and is made up of roughly twenty individuals from the community. We represent all ages and all walks of life. Our mission has been to make the dream of providing entertainment and enrichment activities to the Wood River area come to life. This season will bring all new performers to Wood River for your enjoyment! The “Weekend Friendship Gathering” series will also provide an opportunity to explore and reminisce with friends. We thank you for your support of both series in our current season…here’s to many more! All events are open to the public and are provided at no charge (other than all school play admission) thanks to the generous support of our three benefactors. A free will offering will be accepted to continue the entertainment series through the years ahead. We sincerely hope you’ll enjoy yourself and bring a friend or two. No tickets are needed for these performances; seating is first-come, first-served. With a 450 seat theater, there is generally plenty of room. Please help spread the word to friends and family — these entertainers love full theaters! Suggestions for future events and volunteers are warmly welcomed by contacting any committee member or Georgene Smidt 583-2606, Vince Boudreau 583-2961. Dare to dream a little with us, and let’s see what happens in the years to come! Celebrate Wood River logo courtesy of SCORR Marketing, Kearney NEThe Nebraska Arts Council, a state agency, supports this program through a matching grant funded by the Nebraska Legislature, the National Endowment for the Arts and the Nebraska Cultural Endowment. Visit www.nebraskaartscouncil.org for information on how the Nebraska Arts Council can assist your organization, or how you can support the Nebraska Cultural Endowment.